I had just come from my undergraduate partial differential equations class and was in serious need of caffeine. We had completed our fourth straight day of lectures on the equations of a vibrating membrane. My head hurt and my hands where cramped from taking notes. Partial Differential Equations (PDEs) appear everywhere in mathematical physics. They provide scientists with the language to describe the evolution of collapsing clouds of interstellar gas, the nature of oscillating electromagnetic fields, and even the flow of traffic on a four-lane highway. By solving these equations in all their abstract glory the behavior of the real system can predicted, described, understood. It was very cool. The going was tough though. Like constructing an invisible house of cards we had to spend the last few days building up a story based on theorems and postulates. Then, finally, we had enough background to really get started. The vibrating membrane was a general problem. The membrane could be a drumhead, the surface of a lake, or even the surface of a star. The professor taught us to use simple vibration patterns as a kind of grammar. He showed us how to add these simple patterns together and describe complex oscillations. Imagine, for example, the quick smack of a drumstick on a drum. Using what we had just learned we could, exactly and explicitly, describe every detail of the drumhead’s complex, evolving pattern of vibration by adding up lots of simple patterns. I had filled up half a notebook with these four lectures. Now I was tired and needed a caffeine jolt. 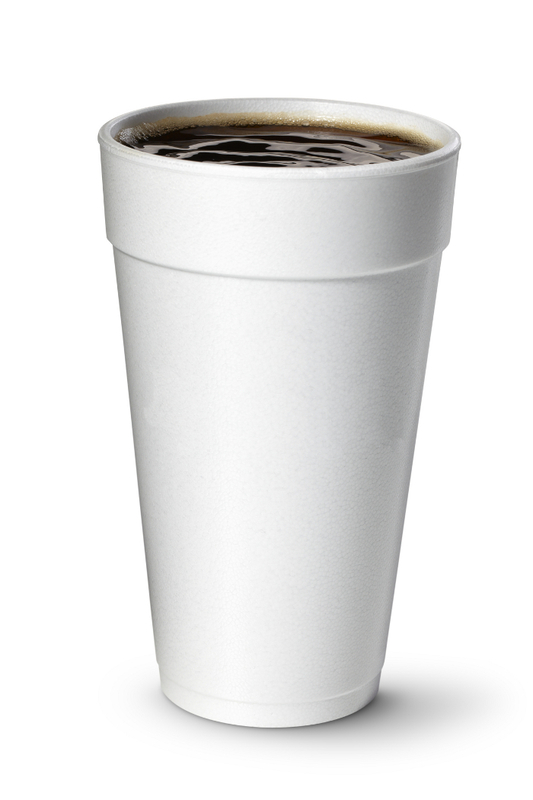 In the student cafeteria I got a Styrofoam cup, filled it up and the got in line to pay. In search of my wallet I put the cup down on an ice cream freezer. After extracting the needed $1.25, I reached for the cup and was stopped dead in my tracks. There it was, laid out with exquisite perfection, right in front of me. The freezer was gently vibrating, set in motion by its small motor. Resting on the freezer, my coffee cup picked up these oscillations. On the coffee’s surface I saw the exact pattern I had just learned about in class. The ordered flow of the surface reflected florescent light from above revealing tiny circular ripples superimposed with crisscrossed radial stripes. The pattern was complex but ordered and stable. Ten minutes ago I had seen the exact same pattern represented as a long string of mathematical symbols or as a diagram drawn on graph paper. Now it was real. Now it was “true”. Suddenly the abstractions were alive for me. The mathematics was made manifest in motion. It was one of the most beautiful things I had seen or ever would see. There was a long moment before I was willing to exhale and get on my way. I had, in my way, just had encounter with the sacred character of human experience delivered to me through the prism of science. “Spiritual But Not Religious” is the way many people describe themselves these days. It’s a term that drives a lot of others crazy. For those who happily describe themselves as religious, “Spiritual But Not Religious” can imply a dilution of faith and a rejection of the creed and doctrine which, for them, is an essential aspect of spiritual life. Yet for people who happily describe themselves as atheist, “Spiritual But Not Religious” is a dodge—an attempt to get “the warm cozy feeling” of religious life without making the intellectual commitment to what they see as the central question: Does God exist? Where should science lie on this spectrum of debate? Can someone still call themselves “spiritual” and hold fast to the principles of science? Recently I participated in a Point of Inquiry podcast hosted by Chris Mooney that took on this question. I argued there (as I will here) that science is, indeed, an organic focus of the human sense of “spirit.” The key, of course, is that we must allow ourselves to adapt language to the living needs of those generations living now. But for me spirituality may not be the right word on which to focus this effort. The question is not one of science and spirituality but science and the sacred. For me thinking in terms of the sacred, or better yet what I call the sacred character of experience, provides a better frame for this discussion. As a practicing scientist (theoretical astrophysics), when I hear the word spiritual it leads to questions about the spirit as some kind of essence that lives above and beyond the world I study. If there is a spirit then I am forced to ask what is its origin and its dynamics—the same questions I would ask of any of the other “things” I have been trained to study. But turning to the sacred means a focus on experience and that changes the entire focus of the debate between science and “religion”. First, lets deal with the oft-stated criticism that any attempt to adapt or enlarge language for new purposes represents nothing more than “invention.” If we are looking to avoid connotations of the supernatural—which I am—why try and use “sacred” to mean anything other than what people think it means: God. The answer is simple, even if there are a number of ways to reach it. Every generation has the right, indeed the responsibility, to take the language it was given, listen to its resonances and use them for the purposes at hand. To do anything less would be to kill the language through atrophy. In a sense this is what scholar Elaine Pagels means when she talks about “creative misreading” of earlier texts in a religious tradition. But there is another reason for turning to the “sacred” rather than the “spiritual” in a scientific age. It’s an old, old word whose roots are in Roman temple architecture. One meaning of “Sacer” is to be “set apart”. In Roman temples it meant the interior where visitors needed to be attentive to the needs of the gods. Outside the sacer you could do anything you wanted including selling walnuts or old 8-track tapes of the Commodores Greatest Hits. Inside however you were expected to pay attention to a different quality of experience. The concept of attention in this context is key. Attention and the sacred always go together which is why 20th century scholars of religion like Mircea Eliade emphasized the sacred in their attempts to describe its vital role in the 50,000-year history of human culture. For Eliade the sacred was an experience, it was the eruption of a certain kind of attention, a certain kind of position with respect to the world. The sacred often appears to us in the middle of our “profane” everyday activities. We are taking a walk in the park thinking about what we have to do tomorrow and—bam!—suddenly we see the breathtaking tangle of vines curling around a tree or the deep stillness of the robin sitting attentive on its branch. This shift in attention is exactly what happened to me that day in the cafeteria. I was just buying a cup of coffee but my experience was suddenly, radically transformed when my attention was shifted through the lens of the science I had just learned. The breathless excitement that overwhelmed me (and I had not even touched the coffee yet) came because I felt as though I was seeing the invisible superstructure of the world laid before me even in the most humble of objects. Science—specifically the mathematical physics of elastic surfaces—made that experience of the sacred possible. Eliade’s point was that much of human history has been the attempt to cultivate such experiences, to draw them out and bring them closer. Their efficacy is why the best of our churches, temples and mosques harbor a profound quiet and stillness that even an atheist like me can feel. The construction of those buildings reflects not only awful power politics and all it entails, these temples also contain our ancient and ongoing attempt to evoke the sacred in the world. If they didn’t, the populations institutional religion so often sought to control would never have shown up. Eliade has rightfully been criticized for implying a universalism to all those experiences. There are differences between cultures and ages, and those differences are important. But as writers like Wendy Doniger in The Implied Spider has shown, difference need not force away unity. As a scientist I know the world always pushes back and our response to the world—including the sacred character of experience—is one way it pushes back into us. Eliade even had a word for the experience I had that day: hierophany. This was his expression for the eruption of the sacred into our lives. Just as an epiphany can relate to ideas, a hierophany relates to experience—the experience of the sacred. It is at this point that we can see the connection, and the usefulness, of the sacred to a world saturated with the fruits of science. For all its usefulness in developing technology, science is elementally a path to hierophany. The insight and all-embracing vision of life (and cosmos) so apparent though science is also gateway to the experience of the sacred. From the Pythagorean Brotherhood’s contemplation of mathematical beauty to Kepler’s elation on finding the true geometric form of planetary motion, science has provided us with experiences of the world as sacred. It is an experience that is not reserved for scientists. The fruits of science manifest in culture in many ways: from HST images to the narratives of life’s origin. These fruits are often presented in a way that is meant to explicitly invoke that “oceanic feeling,” as Freud would call it. From NOVA programs to IMAX movies, we are often given our culture’s pathway to experience the sacred through science. If we cannot immediately recognize that science plays this role as hierophanic pathway in culture it is only because we have been steeped in a polarization between fundamentalist religion and science for so long that we have been trained not to see it. The reflexive rejection of words like sacred by many who reject institutional religion is misguided. It is, without a doubt, true that a great and real danger we face today is the rejection of science by religious literalism. But to ignore the essential aspect of being human in these experiences—called sacred by some and spiritual by others—is to miss the ancient resonance in these words. They are, in their essence, atoms of a poetry to which we have always responded. In this remarkable historical moment we face existential challenges that demand an informed deployment of science. In response, the question before us becomes how to marshal the resonance in words like “sacred.” We will, without doubt, need its poetics as we build the next version of culture our evolution now demands. Science reveals an elemental poetry in the world that has always been experienced as a hierophany. That essentially aesthetic economy of form and relation must now be recognized for what it is and what it always has been—a gateway to the sacred character of our own, inmost experience.